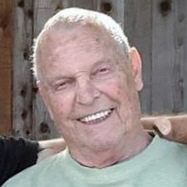 Obituary for John T. Flynn, III | Boucher Funeral Home, Inc.
John T. “Jack” Flynn, III, 85 of Phillipston, died peacefully Friday, August 10, 2018 in his home surrounded by family, following a brief illness. Born in Fitchburg on January 22, 1933, he was the son of the late John T. Flynn, Jr and Blanche (Damien) Flynn. Jack graduated from Fitchburg High School with the Class of 1957, and later attended Boston University. He proudly served his Country as a United States Korean War Army Veteran and received the National Defense Service Medal and the Army of Occupation of Germany Medal. Jack was employed in the Quality Control and Research and Development departments of James River Corporation of Fitchburg for twenty years, retiring in 1995. He was a member of Holy Cross Church of East Templeton. Jack enjoyed gardening, traveling and golfing. He was an avid football fan who played for the former Leominster Lions semi-pro football team, was a football coach for Narragansett Regional High School of Templeton, and loved Tom Brady and the New England Patriots. Jack was also a substitute teacher at Narragansett Regional High School for many years. He had a passion for sports cars and sports car racing. In his earlier years, he took great pride in his Spitfire and loved attending sports car races. Jack was a devoted and loving husband, father and grandfather who treasured spending time with his family. He leaves his wife of 54 years, Patricia (Fusco) Flynn of Phillipston; one son, John J. Flynn and his wife Linda of Walnut Creek, CA; two daughters, Jayne M. Fleck and her husband Jamie of East Templeton, and Karin M. Cormier and her husband Paul of Winchendon; one brother, Frank Flynn and his wife Patricia of Leominster; four grandchildren, Patrick Flynn, Brandon Flynn, Ryan Flynn and Jessica Flynn; several nieces, nephews and cousins. Jack was predeceased by his brother Richard Flynn. Funeral Services will be held Thursday, August 16th at 12:00 p.m. in the Boucher Funeral Home, Inc., 110 Nichols Street, Gardner. Burial with full Military Honors will be in the Massachusetts Veterans Memorial Cemetery, 111 Glenallen Street, Winchendon. Calling hours will be held Thursday, August 16th from 10:00 a.m. to 12:00 p.m. in the funeral home. Memorial contributions may be made to the American Cancer Society, New England Division, 30 Speen Street, Framingham, MA 01701 or to the American Heart Association, 300 Fifth Avenue, Suite 6, Waltham, MA 02451. Please reference in memory of John T. Flynn, III.